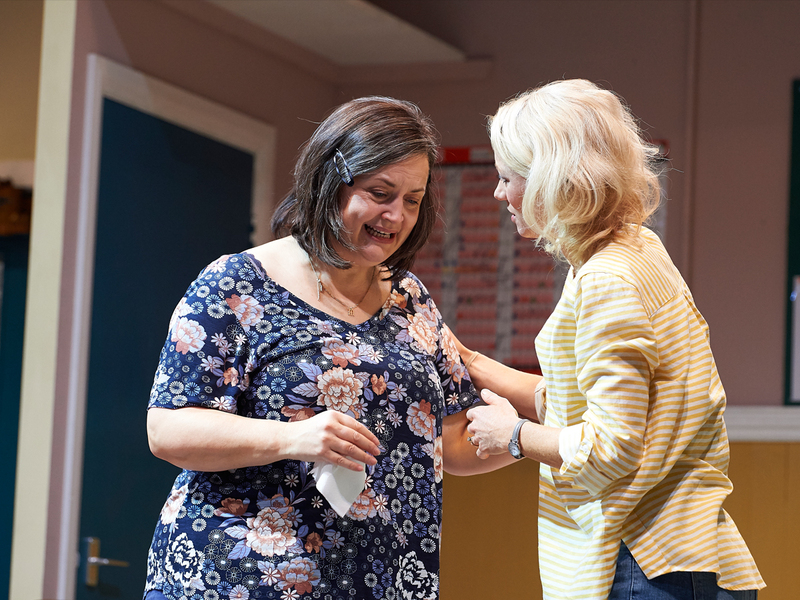 One of the UK’s best-loved stars, Ruth Jones, makes her highly anticipated return to the stage in this witty, thought-provoking and bittersweet new play by William Gaminara. 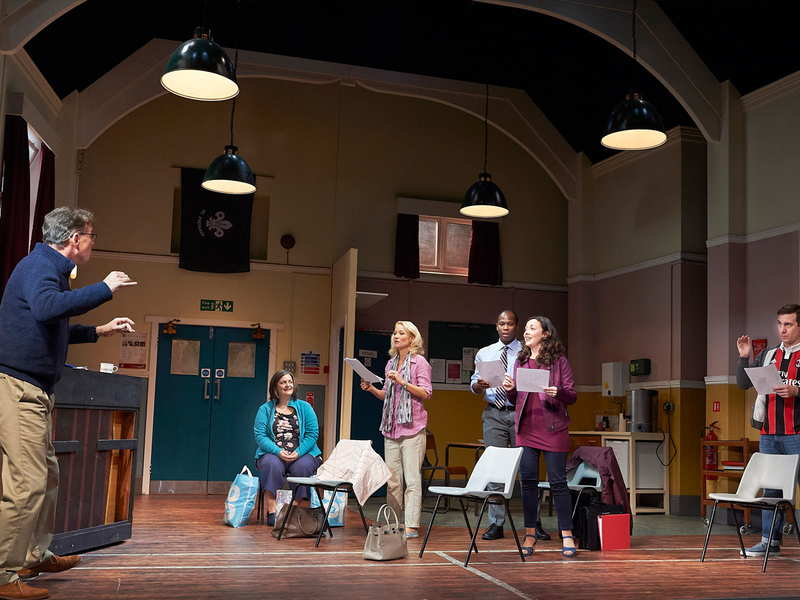 Under the watchful eye of Steven, their choirmaster, Connie, Ben, Diane and Bruno gather every week in the village hall to practise their accomplished acapella singing. They are a motley crew, but whatever their differences, whatever the problems they may have at home, all are happily bound together in their shared love of music. Until one day Maggie knocks on the door. . . Soon she is urging them to enter Talentfest, a potentially life-changing route to Britain’s Got Talent. In the weeks that follow, loyalties will be tested, tempers will fray and lives will indeed be changed – but not in the way that any of them had quite anticipated. 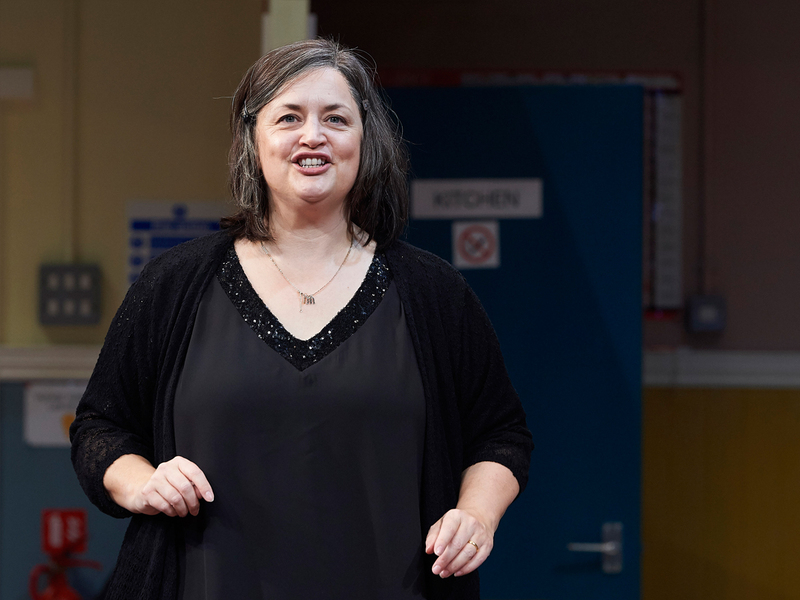 The part of Maggie provides a compelling role for Ruth Jones, best known as the co-writer of the award-winning BBC comedy Gavin & Stacey, in which she starred as Nessa. Other acting credits include Jimmy McGovern’s The Street, Little Britain, Saxondale, Tess of the D’Urbervilles, Little Dorrit and Hattie Jacques in Hattie. 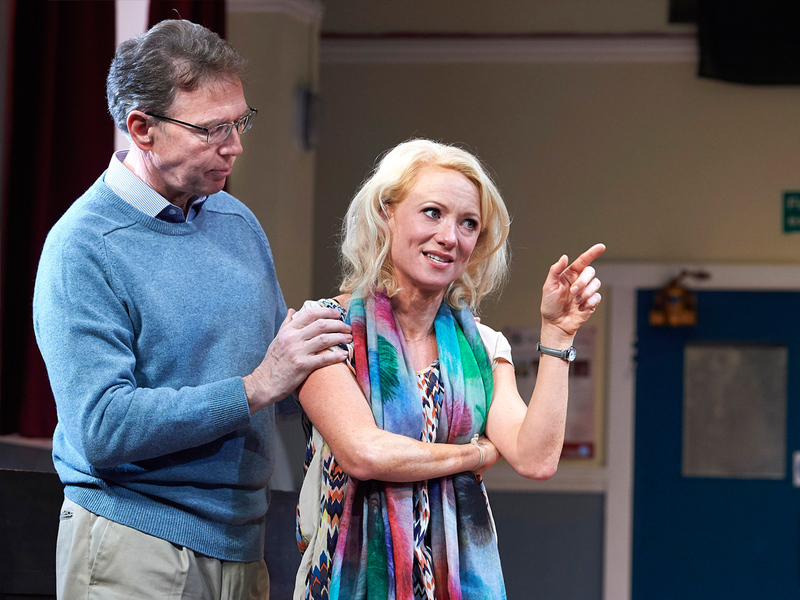 Her most recent comedy series, Stella, ran for six series on Sky Television. Her debut novel, Never Greener, is a Sunday Times number one bestseller. 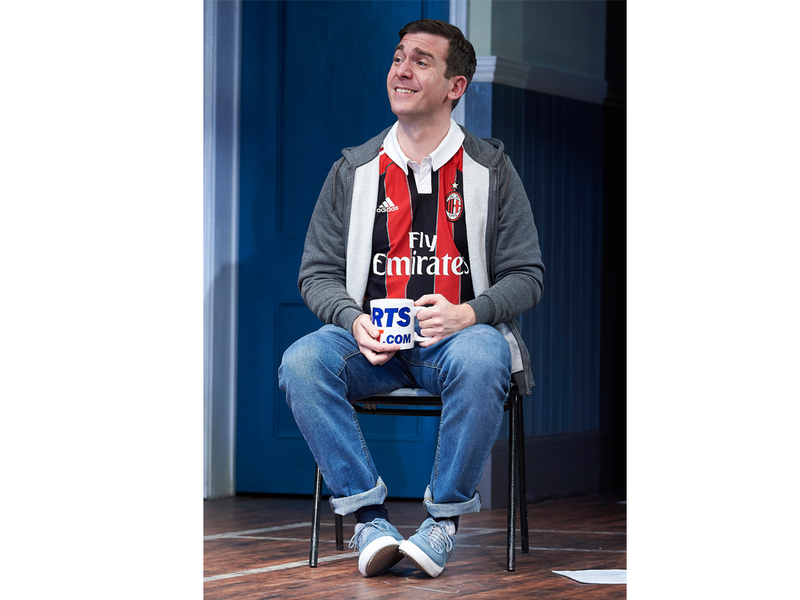 William Gaminara is an actor and writer, best known for playing Leo Dalton in Silent Witness from 2002 – 2013 and Dr Richard Locke in The Archers. His plays include According to Hoyle and The Three Lions. Writing for TV includes This Life and The Lakes. 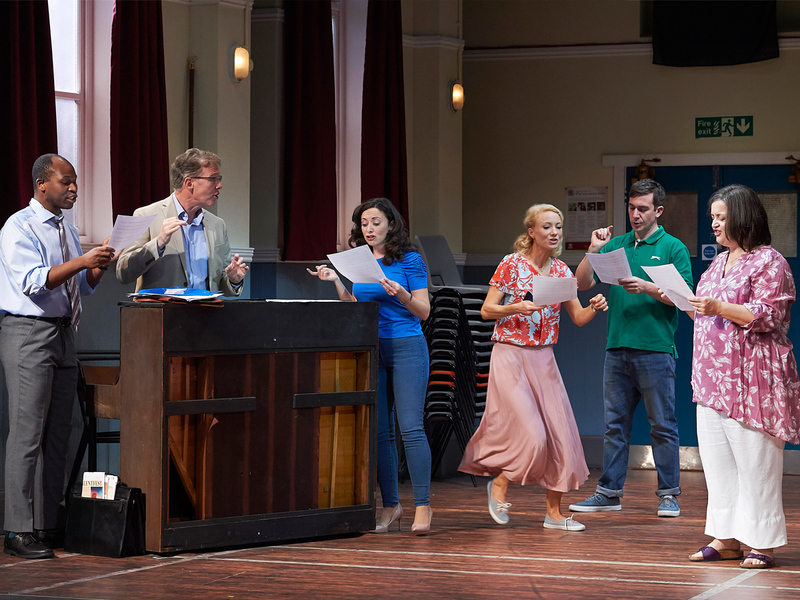 Christopher Luscombe’s productions include Love’s Labour’s Lost, Much Ado About Nothing and Twelfth Night for The RSC, The Merry Wives of Windsor and Nell Gwynn for Shakespeare’s Globe and in the West End, Enjoy, When We Are Married and The Madness of George III. 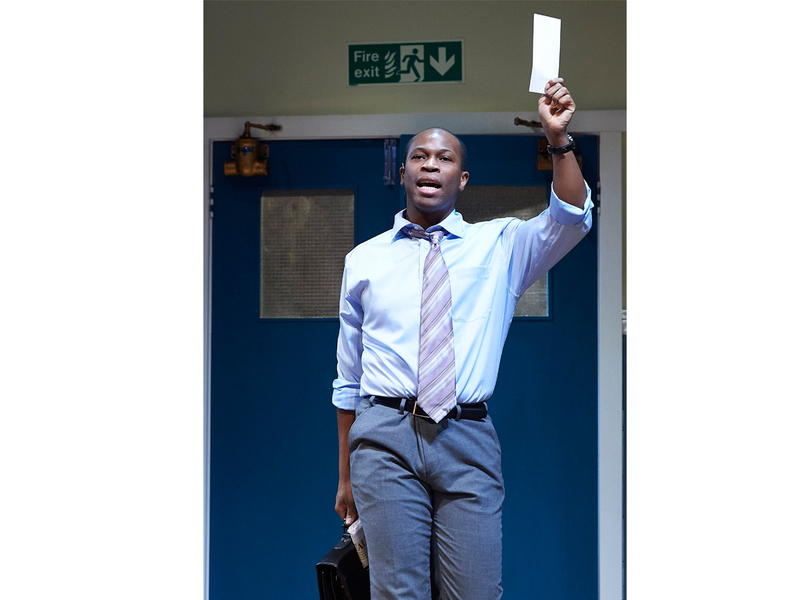 He is an associate artist of the Royal Shakespeare Company. 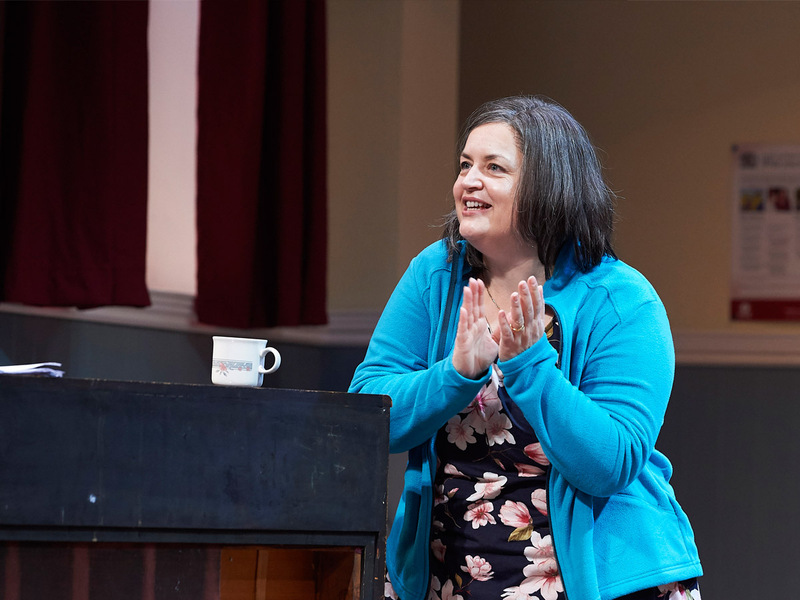 It may be 12 years since Ruth Jones - star and co-creator/writer of Gavin & Stacey and Stella - was last on stage but her return to treading the boards is a corker. 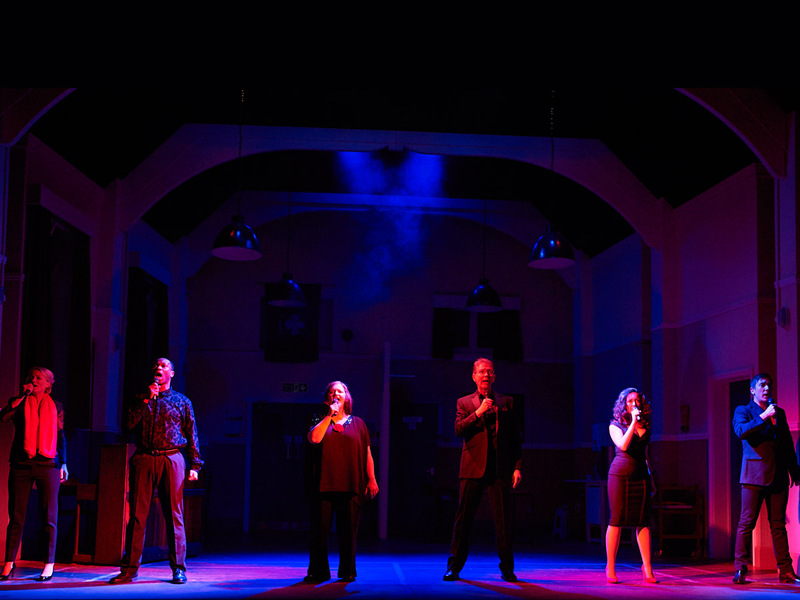 Set in a village's community hall (shared with the scouts amongst others), "The Nightingales" by William Gaminara (writer of BBC's The Lakes and best known as Professor Dalton in Silent Witness) starts, unusually, with all 6 of the cast members on stage, 5 of them huddled around a piano and another, Maggie, about to tell the story of how she came to be in the small village and subsequently part of this group of acapella singers. 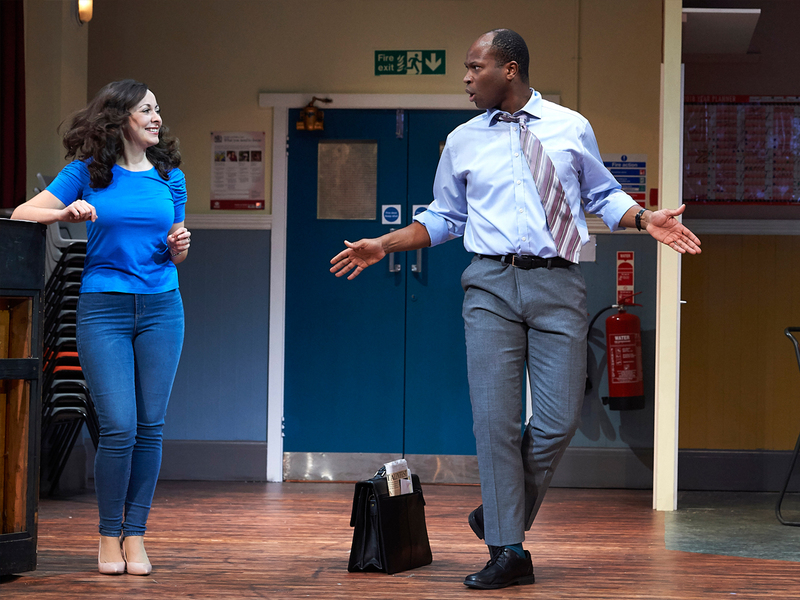 Five becomes six as Welsh newcomer Maggie manages to inveigle herself into the group through a series of circumstances and truths/lies (we are never quite sure which), and participation in a national "Talentfest" competition brings considerable conflict and disruption to the group. 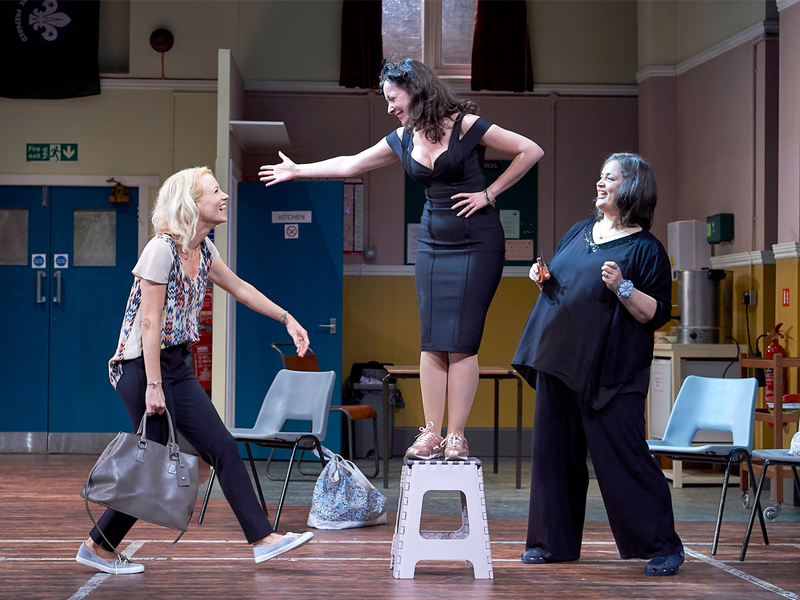 As such, Maggie generates feelings of sympathy and loathing in equal measures throughout the play, even in the dénouement at the end. 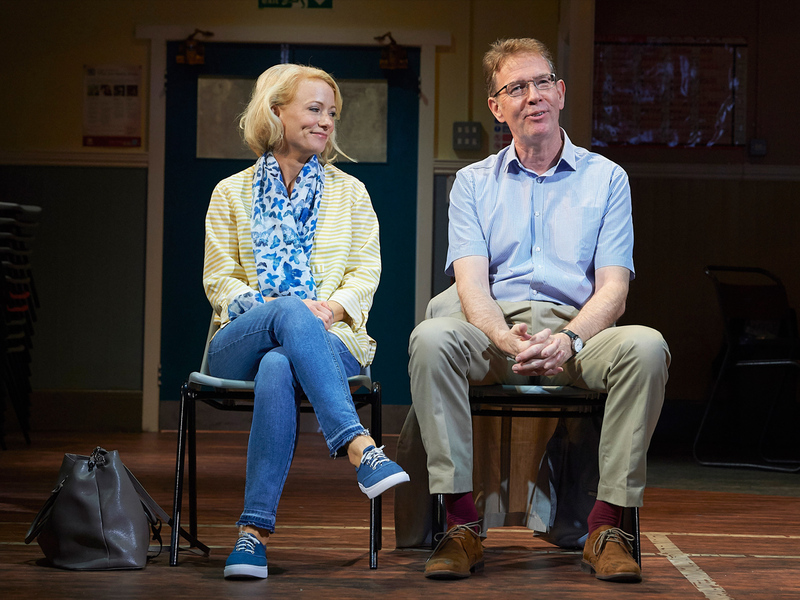 This is a very bittersweet comedy, bringing together themes of infidelity, deceit, race, stereotypes, problematic marriages, lust - just the sort of things which go on, often in unspoken terms, in small villages. As the deception appears to unravel, the second half in particular is much more bitter than sweet but it is not until the end that the audiences can finally differentiate fact from fiction. Or can we? 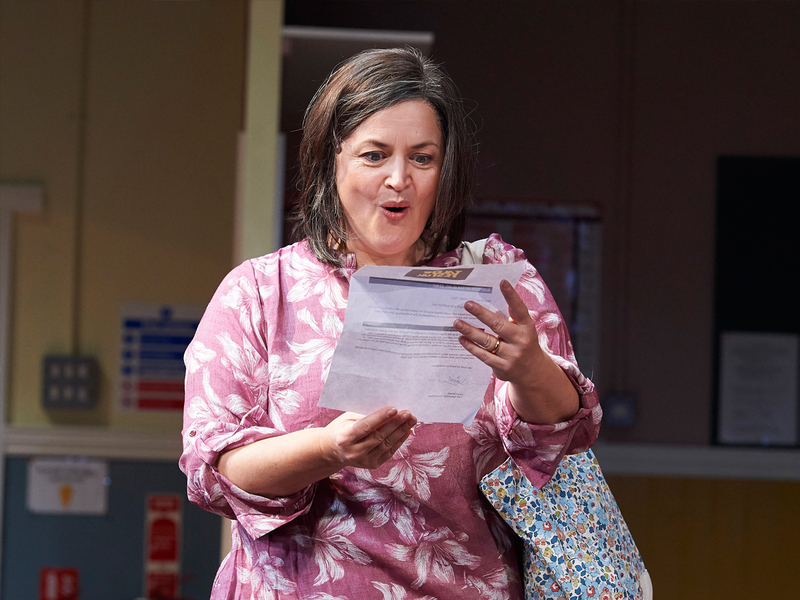 It's not clear whether the play was written with Ruth Jones in mind, but there is, in the script, a very definite need for a Welsh lead as it contains numerous references to Welsh cakes and the fact that she should be a good singer. 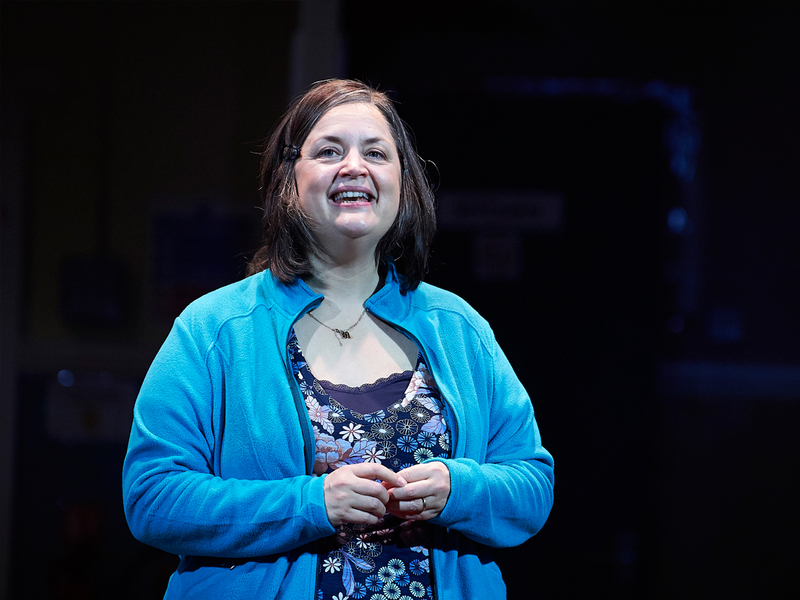 Ruth Jones is perfect in the role, believable as the conniving Welsh infiltrator into Middle English life, especially on the numerous occasions when she is talking directly to the audience. Oh, and fortunately the ensemble can actually hold a tune too! 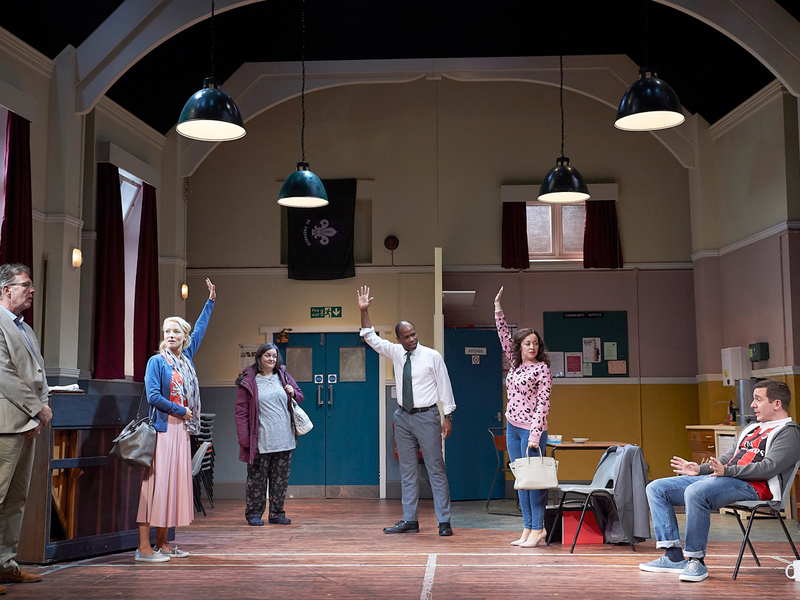 Absolutely loved this play, very cleverly written and you’re still not sure whether Maggie is lying or telling the truth at the end. 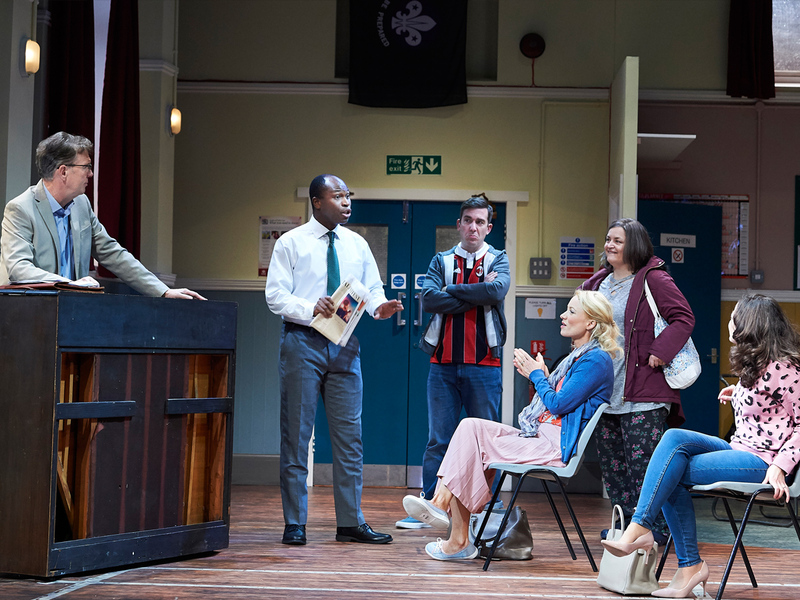 The cast are excellent and I would definitely recommend everyone go and see this. I was cringing watching this play. No mention in the credits that it involves breast cancer. I had taken a friend who had suffered from this and neither of us laughed. It is not a subject to turn into a comedy!!!!! Waste of time and money. Wish we had walked out earlier.